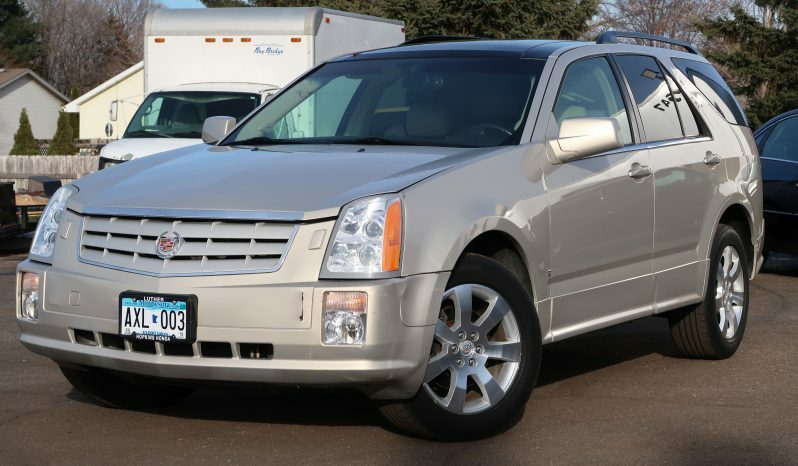 Combining the sure-footed stability of a performance sedan with the versatile utility of an SUV helps make the SRX one of Cadillac’s more attractive offerings. The SRX has the power, the moves and the luxury trappings to compete with such favorites as the BMW X5 and the Infiniti FX45, while offering a number of unique amenities such as Magnetic Ride Control and a huge “UltraView” power moonroof. Capable of carrying up to seven passengers, the SRX is a viable alternative to the full-size SUV, although those who need to tow heavy loads may not appreciate the SRX’s 1,000-pound base tow rating. For those who don’t care about towing or off-road ability, the SRX’s low step-in height, manageable dimensions and respectable fuel consumption should hold strong appeal. 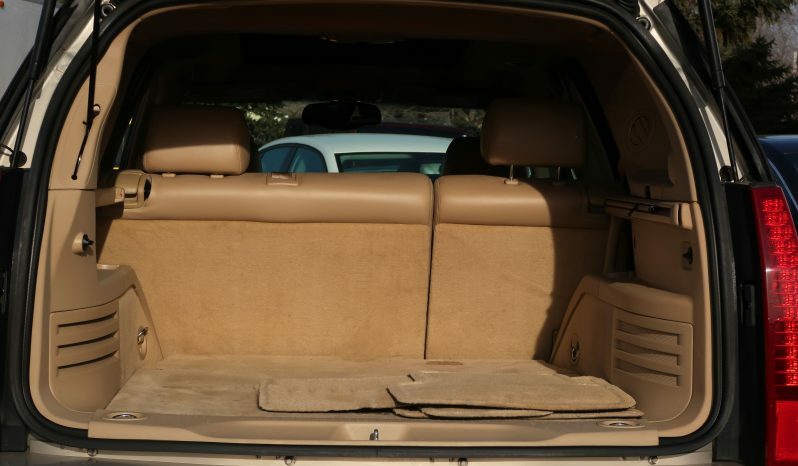 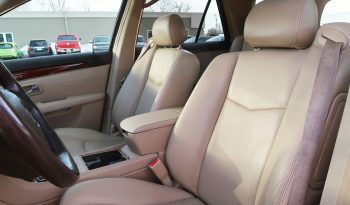 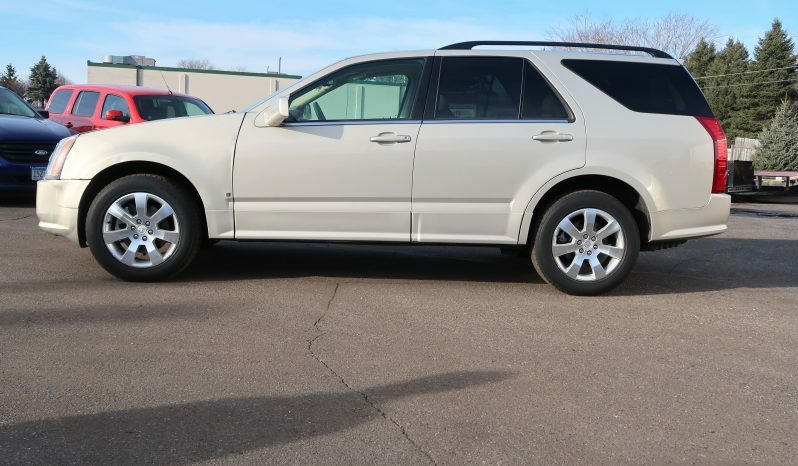 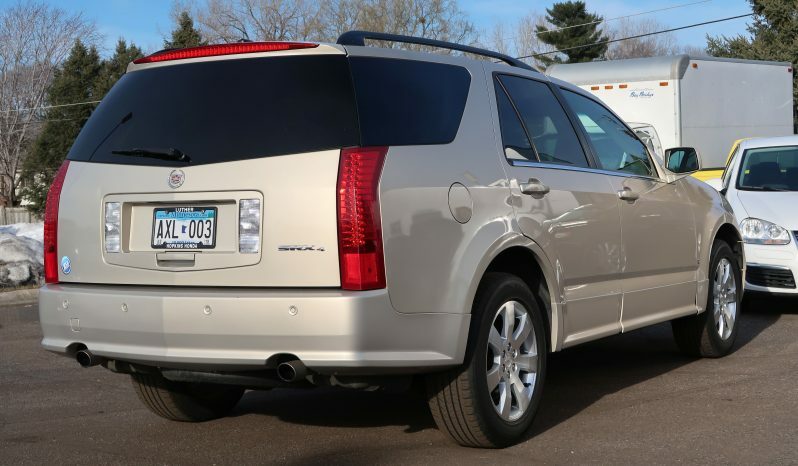 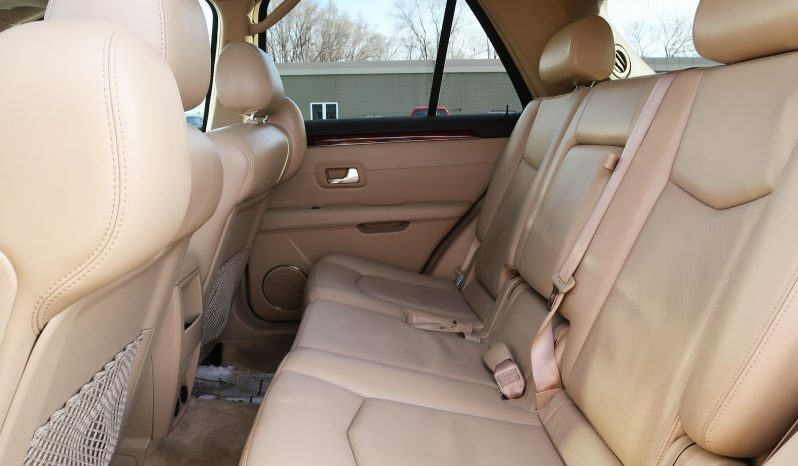 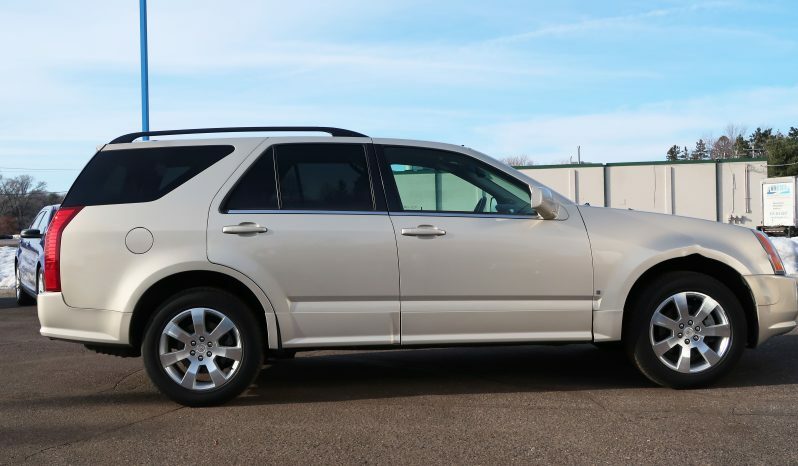 If you like the feel of a sports wagon but would prefer to sit up a bit higher, the SRX will fit you like a glove. In addition to its agile handling and powerful optional V8 engine, the SRX returns a smooth, controlled ride and can accommodate lots of cargo. 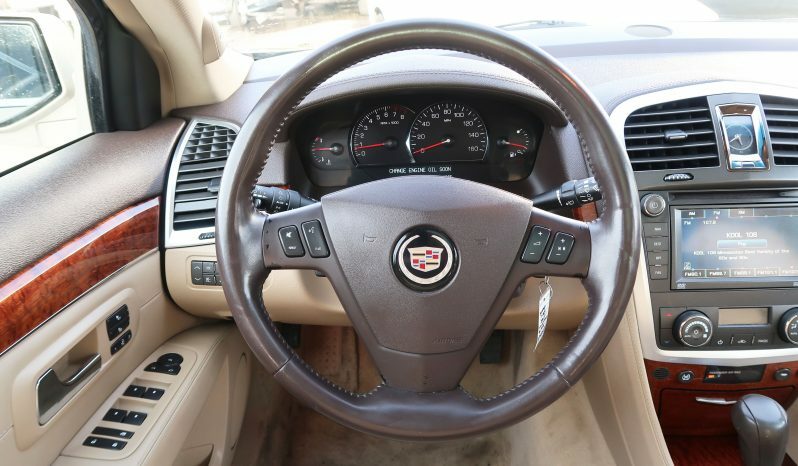 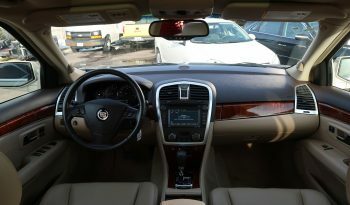 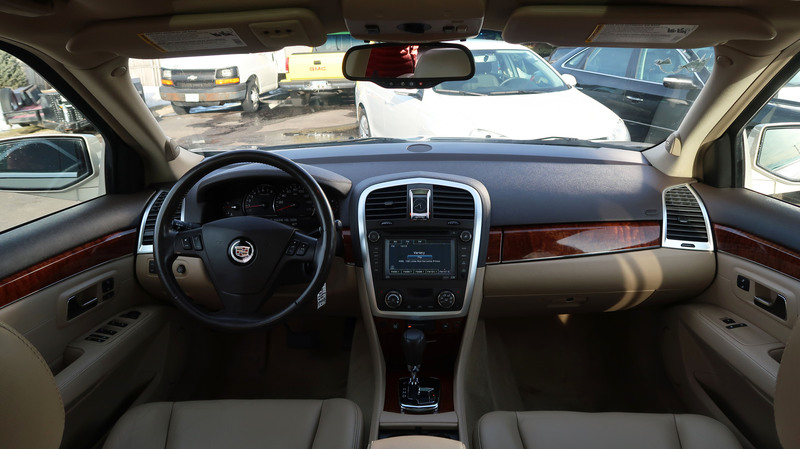 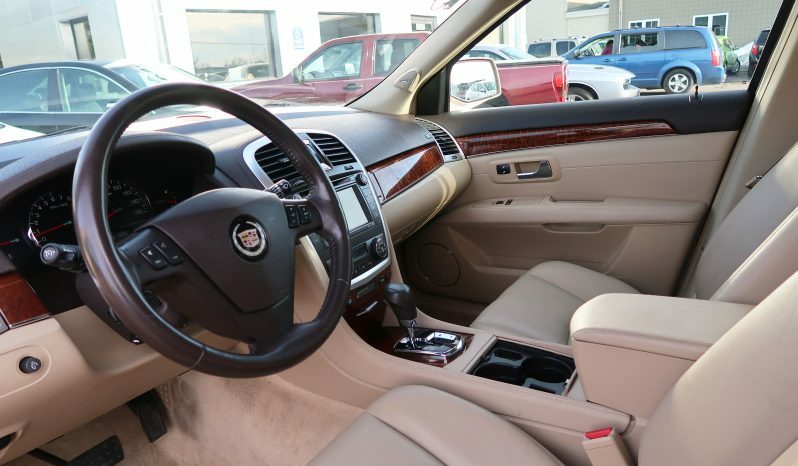 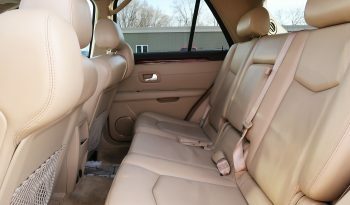 The SRX’s major interior renovation features a new instrument panel and center console. 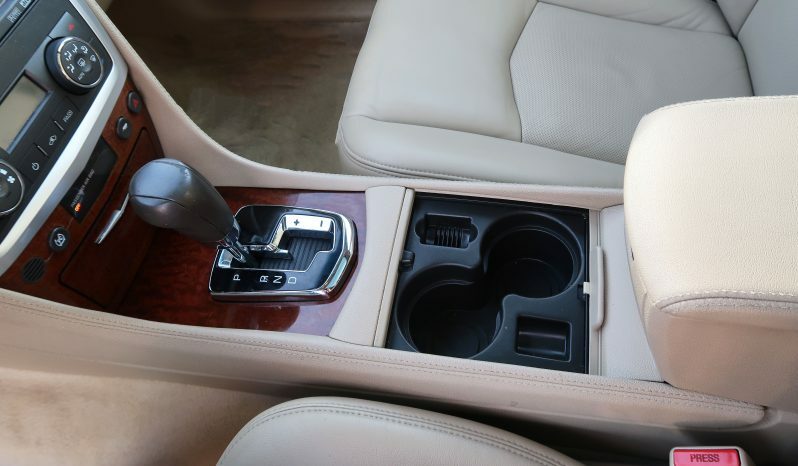 A new six-speed automatic transmission joins the V8-powered models, while for the first time a new Sport Package teams a limited-slip differential with all-wheel drive. 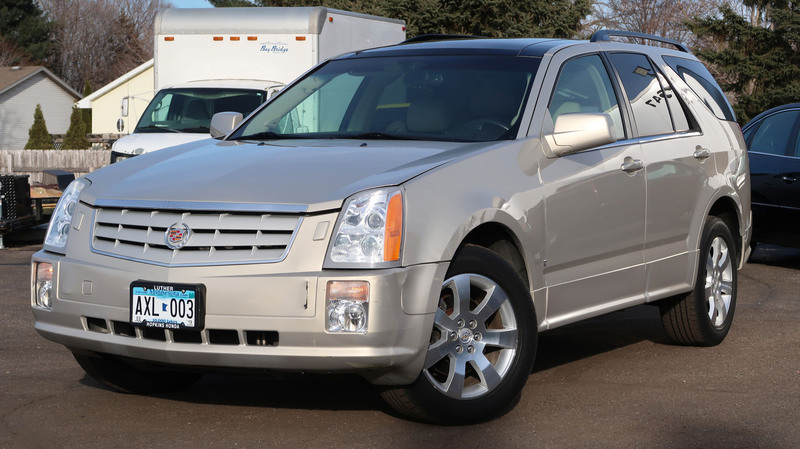 On the open road, the SRX glides serenely without veer or vagueness. 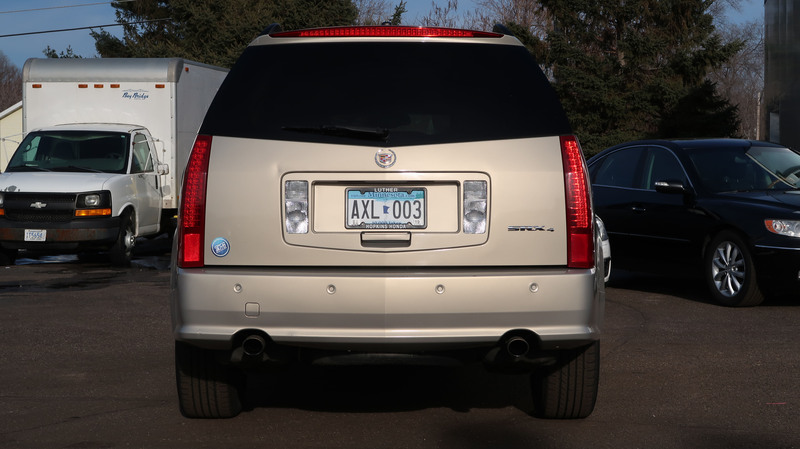 Some SUV suspensions tremble at the first sign of an S-curve, but not that of the SRX, which negotiates corners without giving the impression it has a high center of gravity, even when loaded down with people and cargo. 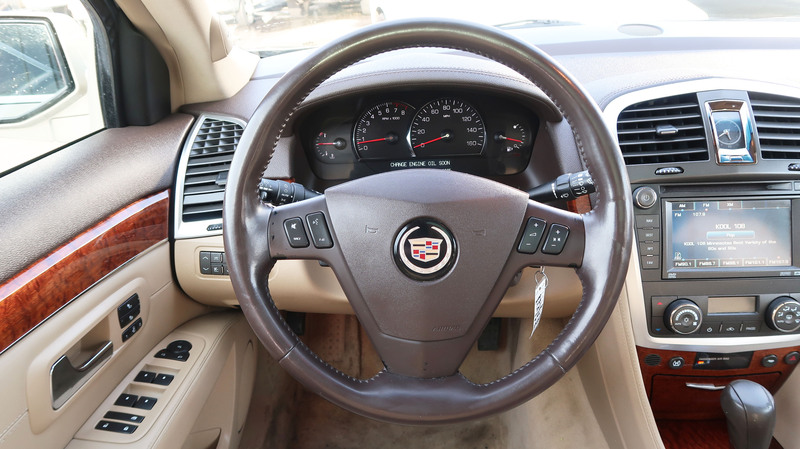 The steering feel is light at first, but quickly firms up as the speed rises. The SRX’s steering is precise, with dead-on straight-line tracking and confident predictability when turning into corners. 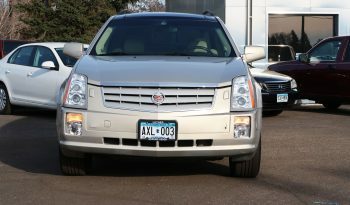 On the whole, the SRX easily rivals the handling characteristics of the Volvo XC90 and may be just slightly short of matching the BMW X5. 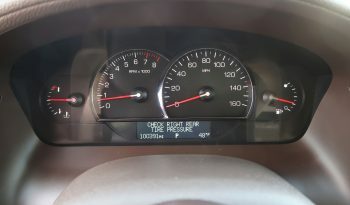 When fitted with the V6, the SRX’s acceleration feels strong but without the same sense of urgency provided by the V8. 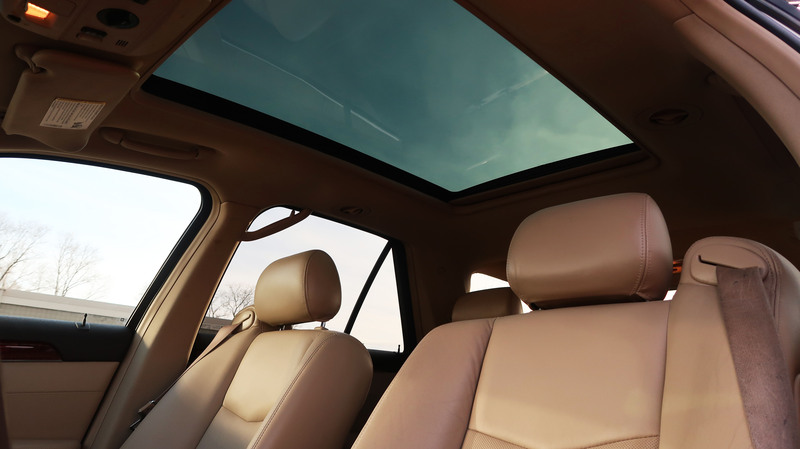 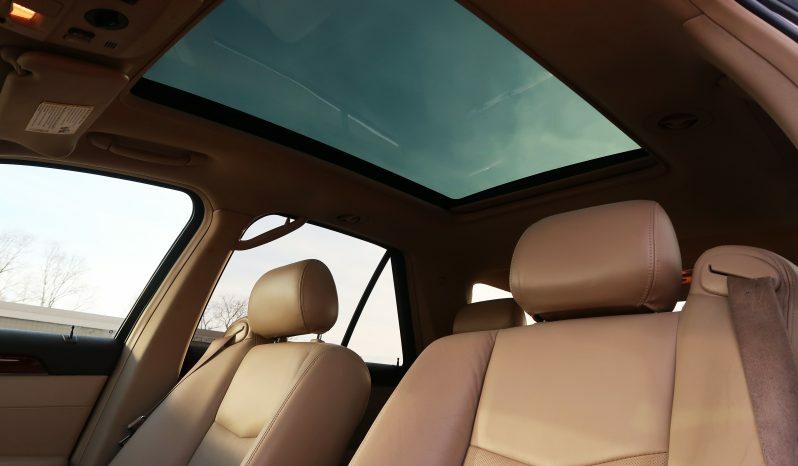 The optional UltraView moon roof is composed of a huge glass panel that covers a five-foot section of the roof, effectively exposing the first and second rows to the sun. 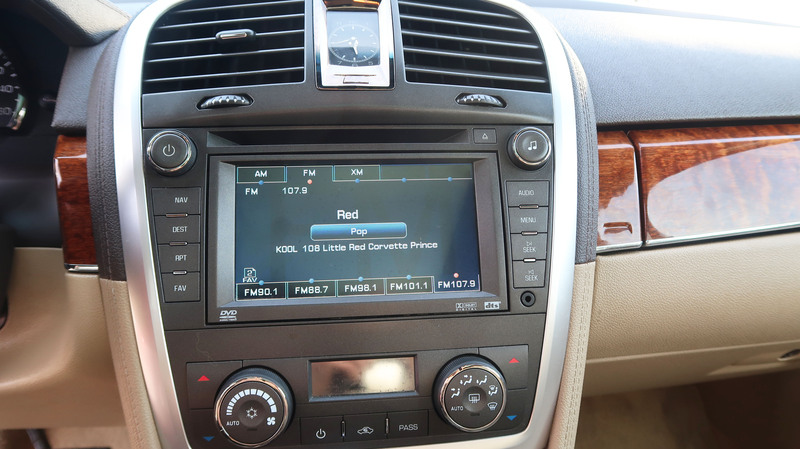 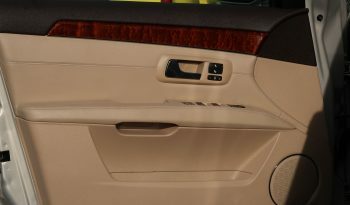 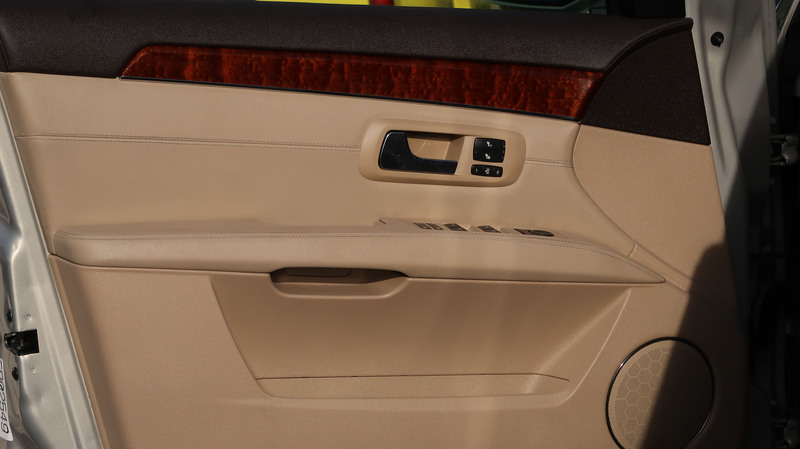 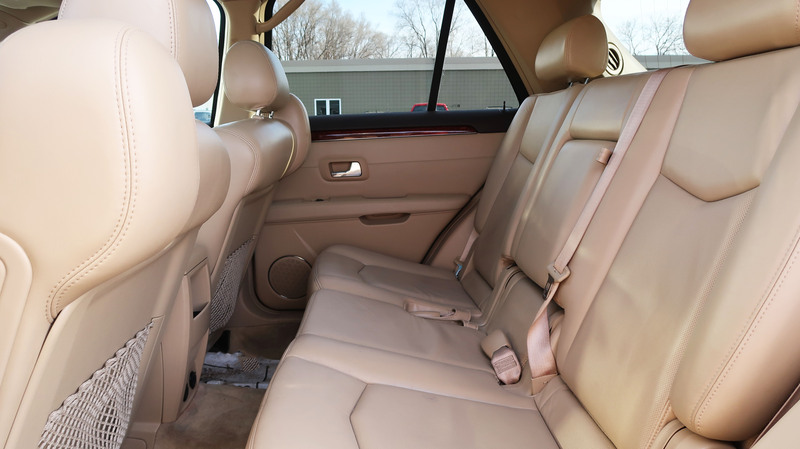 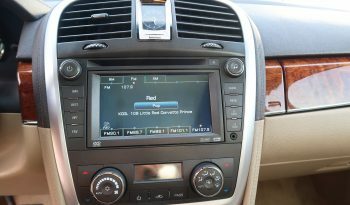 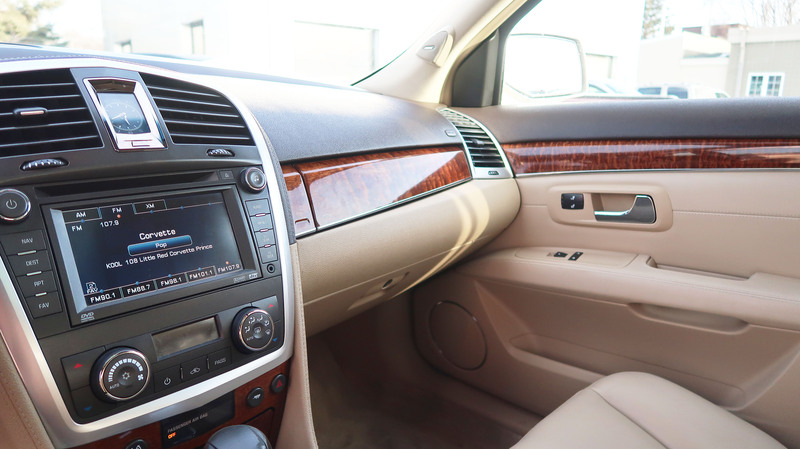 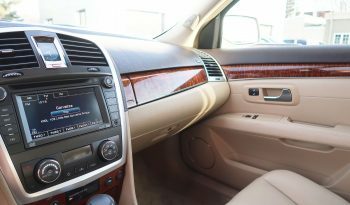 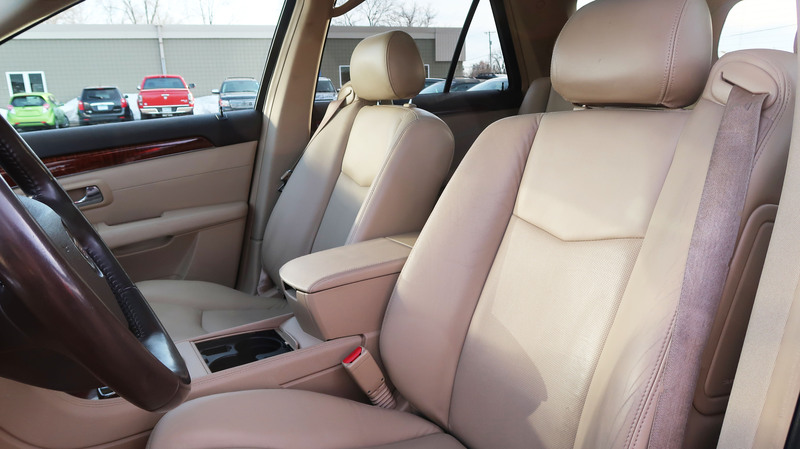 The SRX’s optional DVD entertainment screen is mounted on the back of the center console, not the roof, allowing the vehicle to be fitted with both the DVD system and the UltraView moonroof.